We were impressed with the courtesy, professionalism, product knowledge and especially the time spent with us without pressure. Also, at delivery time the excellent way in which our motor home was cleaned inside/out, explained, demonstrated and professionally turned over to us. I enjoy doing business with Winnebago Motor Homes because Terry gives me good deals on motor homes and Mick and the service guys give me great service. Their service area is why I don't take my rig anywhere else to be serviced. I would recommend Winnebago Motor Homes to everyone. Great place! I have owned 3 Winnebago coaches. I think they build a better coach, and the service from my dealer (Winnebago Motor Homes of Rockford, IL) has been great! I like the fact that I can go on the Winnebago website and look up wiring and plumbing diagrams. Not too many builders provide this service! I also see that the engineering and quality control have been improving over the years. My newest coach is a 2014 Access. I will continue to buy from Winnebago and Terry in Rockford in the future! We have purchased two RVs from Winnebago Motor Homes and both purchases were the most straightforward and fully explained purchases we have ever made. Everything was explained and gone over before the purchase was made. After the purchase there was never any problem getting help with any questions. We had never had an RV and any questions that came were immediately handled by the staff making our first trips really enjoyable. Not only is the sales staff totally above board and easy to work with but so is the service department. They work very hard to insure the customer is satisfied as well as confident in the operation of the product. 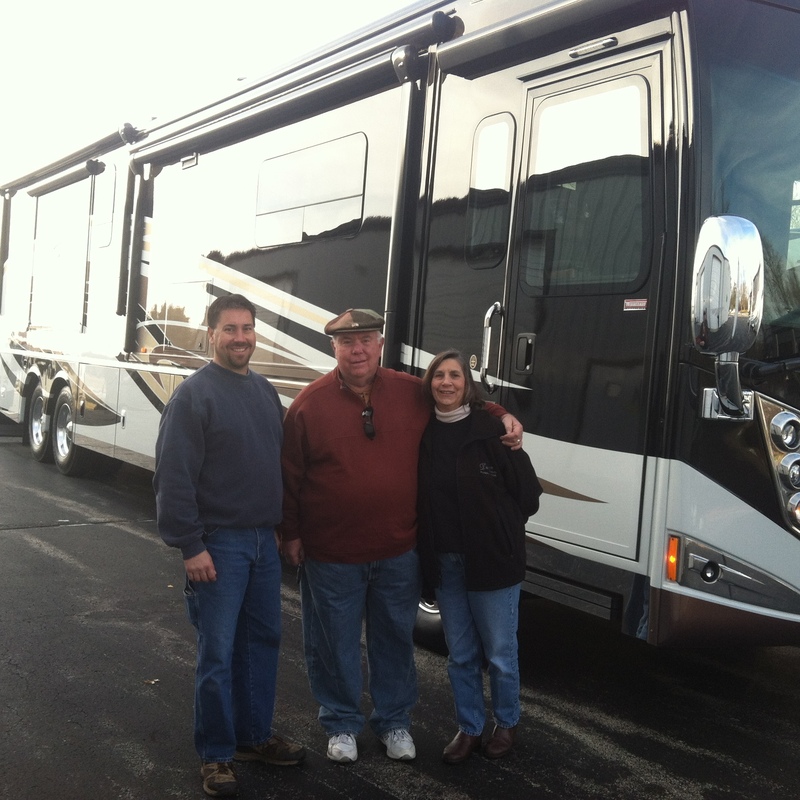 We have purchased two RVs from Winnebago Motor Homes. The service we received was outstanding. The people that work there go out of their way to make sure you are satisfied with your purchase. They let the RV sell itself without being pushy or aggressive. Winnebago Motor Homes is a great place to purchase a RV. You truly will be happy and satisfied.